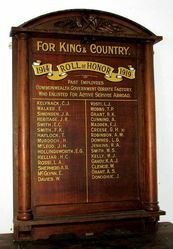 A wooden honour roll commemorates employees of the Commonwealth Government Cordite Factory who served in World War One. 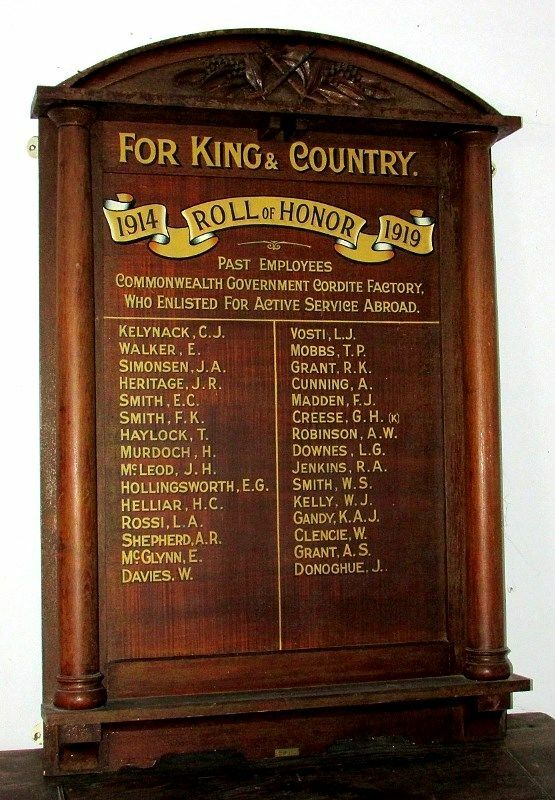 On 26th February 1918 the honour board at the Commonwealth Government Cordite Factory at Maribyrnong was officially unveiled by the Assistant Minister of Defence, the Hon. L. E. Groom. 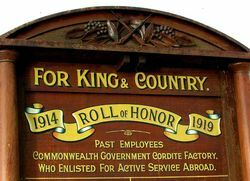 The Essendon Gazette and Keilor, Bulla and Broadmeadows Reporter, 7th March 1918.
Who Enlisted For Active Service Abroad.